Lose Hill YHA is an extremely impressive building and has been restored for purpose brilliantly. The location could hardly be better as a base for hiking weekends, and quite close to local village too for additional meals and drinks. Will use again. When would you like to stay at YHA Castleton Losehill Hall? 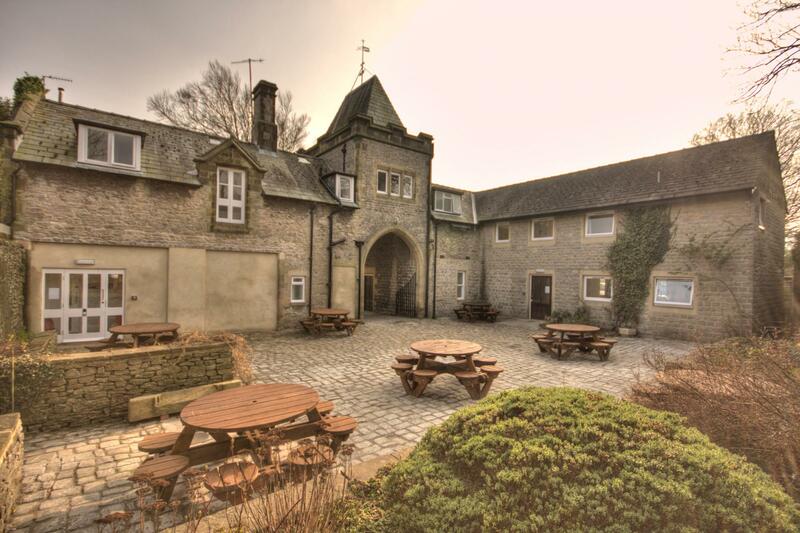 Situated in the heart of the Peak District National Park, YHA Castleton is a fully refurbished gothic mansion, set within 27 acres of parkland and offering stunning views across its picturesque surroundings. Castleton itself is one of the Peak District’s most charming villages, with Peveril Castle, plenty of small, independent shops and numerous pubs for guests to explore and enjoy. Castleton is also famed for its caves and caverns, most notably the Blue John Cavern, and is a haven for walkers, with walks up Mam Tor amongst a vast range of routes. 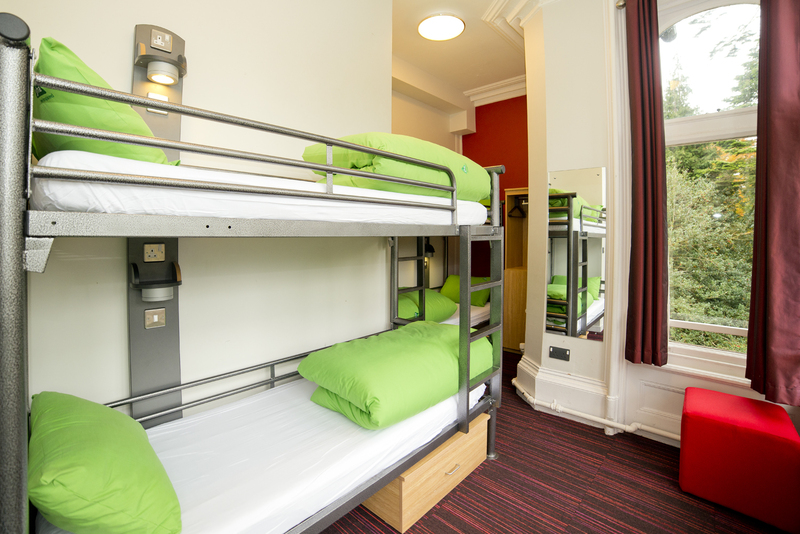 The hostel has 146 beds in 36 rooms, most of which have en-suite facilities. YHA Castleton Losehill Hall is finished to a high standard and boasts a licensed bar and luxurious social areas. There is plenty of comfortable furniture to relax on and gorgeous finishing touches like a woodburning stove and atmospheric candles. Unfortunately, pets are not permitted at YHA Castleton Losehill Hall however, assistance dogs are welcome throughout. Our camping barn is now open and available for hire. Heating and cooking is done via a wood-burning range stove, which makes the place really cosy. The stove is also great for baking - it makes lovely bread! There's also an electric kettle, a microwave and lighting so you've still got some home comforts. You'll also find hot water, a hot shower and two toilets. The six beds are on a mezzanine sleeping platform, accessed by a ladder, and can be arranged as two doubles and two singles or six singles. The barn is accessed on foot from the car park, so bring your boots and a torch as the (3 minute) walk takes you through our Magic Wood and over a stream by the Waterwheel Bridge. Car parking is available in the main car park. The barn has been renovated using recycled materials with timber from our own woodlands (a mix of oak, ash and sycamore). Our cosy interior has antique leather armchairs, the world's only ‘rocking stool’ and there is a big picnic bench outside for sunny days and peaceful nights. There is no Wi-Fi and little phone signal but there are wonderful starlit skies, wild flowers, badgers, birds and bats for entertainment. YHA Castleton Mews, a building in the grounds of YHA Castleton Losehill Hall, is available for hire on an exclusive basis. This means that you can have the place to yourself and choose how many of your friends, family, club mates, etc., join you. We allocate availability for exclusive use in blocks, typically up to 90 days in the future. If you are looking for space to stay with us on a normal shared basis, and can’t see any availability three months or more into the future, then this hostel may be being held for Exclusive Hire. You can check availability for Exclusive Hire on our dedicated website. YHA Castleton Losehill Hall is in a great location where the limestone dales and grit-stone moors meet. Castleton lies on the boundary between the Dark Peak and the White Peak and has to top the podium for runner-friendly properties. Pets: Pets are not permitted in the hostel accommodation at YHA Castleton Losehill Hall however, assistance dogs are welcome throughout, please advise upon booking. Invite all your family and friends along to YHA Castleton West Mews and hire the whole property for yourself. To do so please visit our YHA Exclusive Hire website. YHA Castleton Losehill Hall has a wealth of resources to suit a range of educational trips including geography, history, science, PE and Food & Health activities. There are also great facilities including a classroom, games area, restaurant and café/bar. At YHA Castleton Losehill Hall we have two meeting rooms available for hire - the Morten Room and the Board Room. Capacity: Up to 80 delegates in the Morten Room and up to 12 delegates in the Board Room depending on seating configuration. Accessibility: The Morten Room is accessible for wheelchair users. The Board Room is also accessible, however the fire exit requires the use of steps. The closest accessible bathroom to both is just off reception. For more information please see our access statement. YHA Castleton Losehill Hall started life as a gentleman’s residence for Squire Ashton, the son of the family who lived in Castleton Hall in the centre of the village, coincidentally the home of the YHA before we moved up to Losehill. Built in 1882, it has been extended since to include the arched mews building. The formal gardens were laid out in Victorian times and have a well preserved boundary. The parkland is a scheduled ancient monument as it is an example of a Saxon/medieval ridge and furrow field system. The ridges are still clearly visible as you stroll around the park. The village of Castleton dates back 900 years, it was built around Peveril Castle by William Peveril, son of William the conqueror and has much of its medieval grid pattern and town ditch still intact and preserved. The hillfort on Mam Tor is older still, built 3000 years ago by the Celtic Brigante tribe. It is a great place to watch the sunrise or set. There is a replica celtic settlement in the grounds of Losehill Hall. Alistair Boyd, a former engineer, moved to the hostel for the superb climbing and running available and has stayed ever since. He’s not lost his enthusiasm for the area over the years and is a great source of advice on where to walk/climb/run/cave and something of an expert on the local weather – he’s known for saying "it’s always summer somewhere in the Peaks". Manager recommends: Watch the dawn or sunset from the ramparts of the Celtic fortress on Mam Tor. Magnificent views, magical atmosphere, and free - just what you want on a cheap break! There's plenty to do for activity breaks and many fine routes for walking holidays around the valley.